... and delivering the treats! I feel like service, in its truest form, is an act that lets someone know they're loved or that improves a place or thing. While it can be a huge sacrifice on the side of the doer, it doesn't have to be. 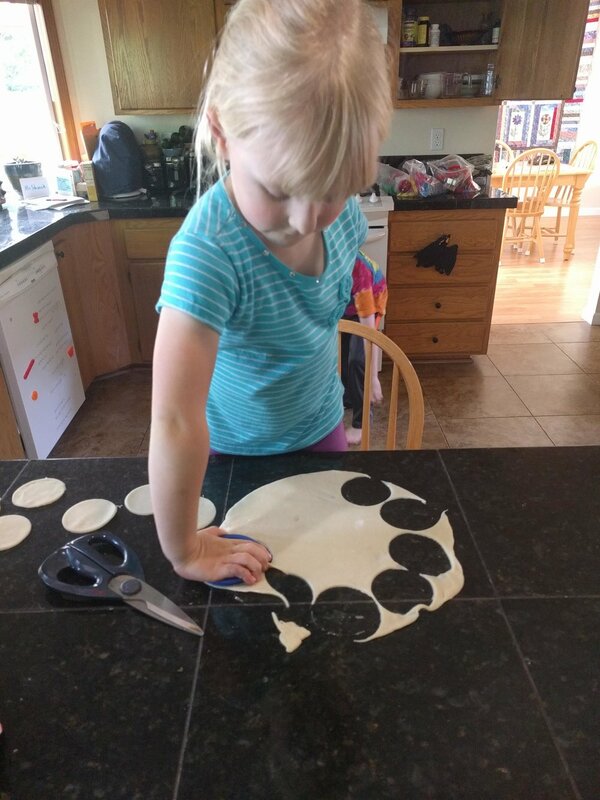 My kids love to work in the kitchen and share their creations with those around them. 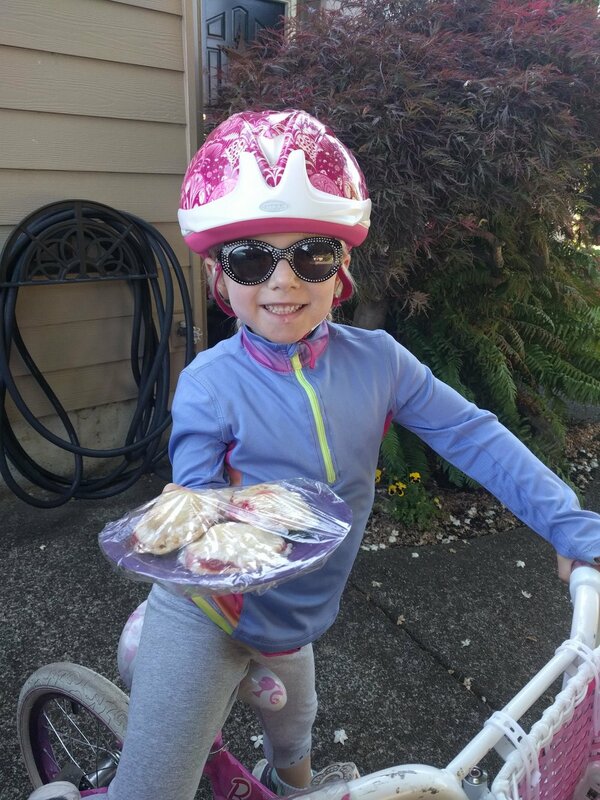 Our pie delivery definitely brightened Miss Dorothy's day and put a smile on my daughter's face in the process.